Have you heard of LOFT, the famous lifestyle store in Japan? Celebrating its 30th anniversary, currently it has over 100 outlets in Japan, and is a popular shopping haven for both locals and tourists who love functional yet creative products. from 13 October to 5 November 2017. 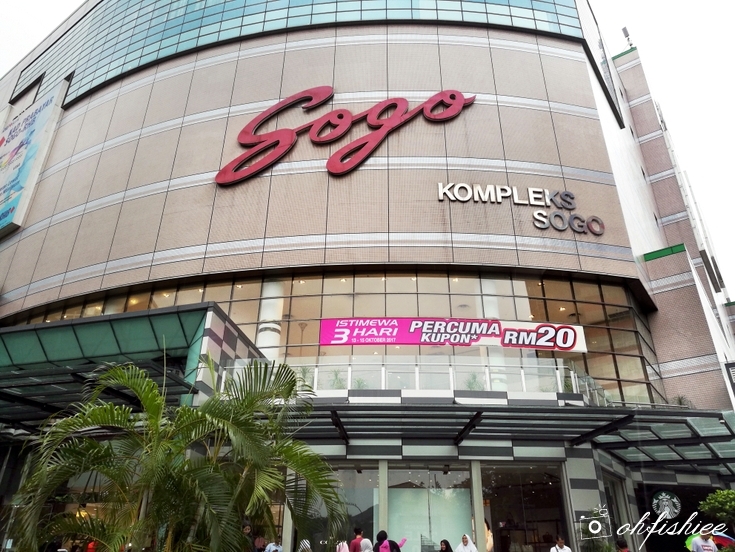 How to get there: SOGO shopping complex is easily accessible via public transport. Hop onto LRT Sentul Timur line and get down at LRT Bandaraya station. 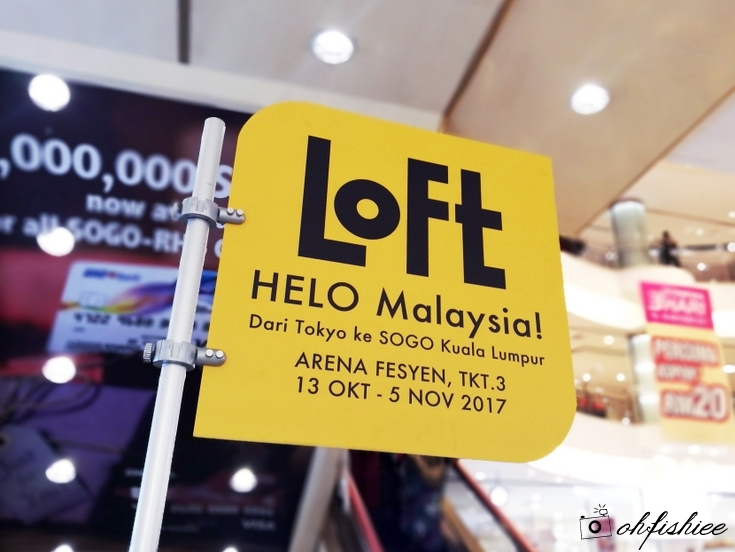 With the bright neon yellow signage, you just can't miss the LOFT pop-up store in this mall. 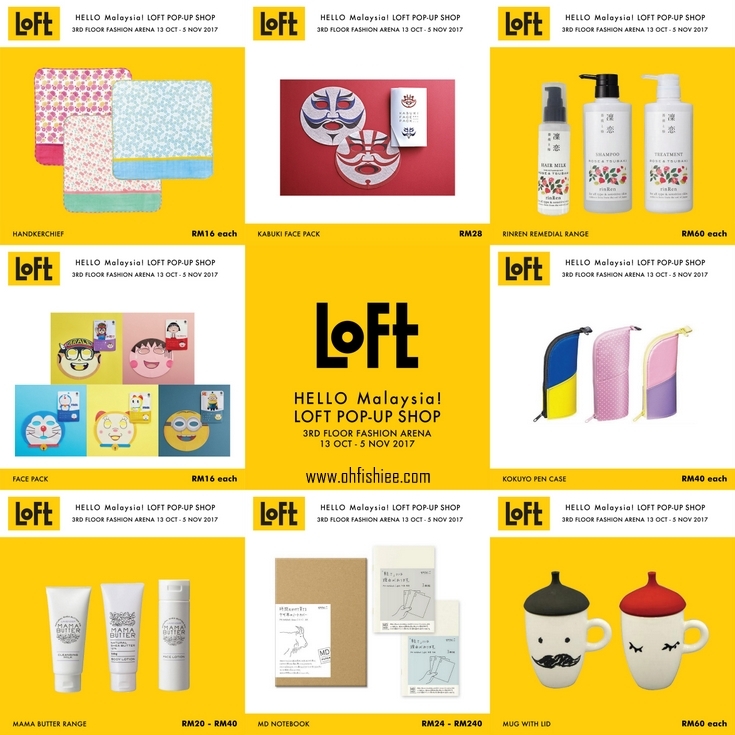 In Malaysia, LOFT brings to us its best-selling products including a wide range of "zakka", miscellaneous lifestyle products of excellent quality and rich culture. 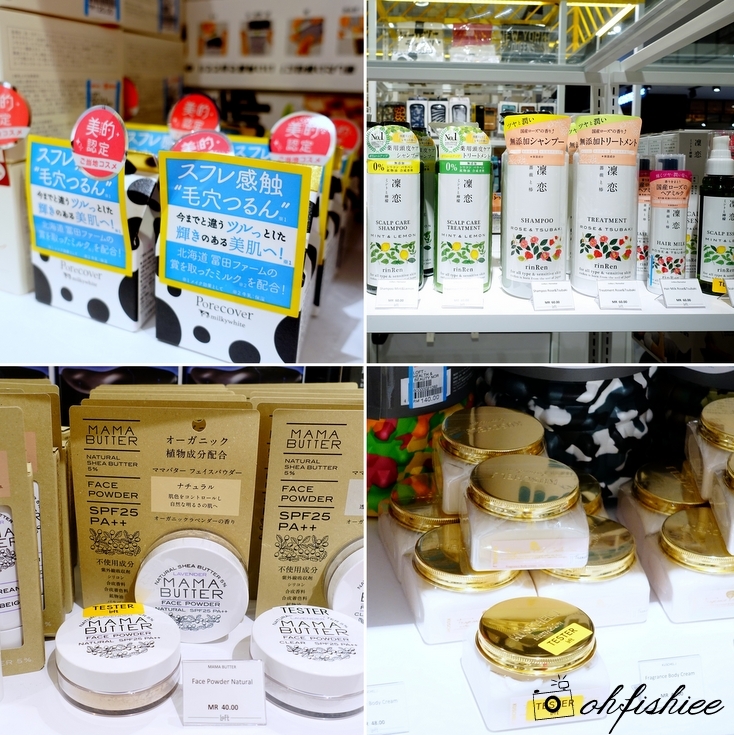 A little background of LOFT Japanese specialty store chain. No. 1 Bestseller: FACE MASK! "Design Face Pack" is a brand introducing the "face that represents Japan" through face mask. Here they have Doraemon, Doremi, Chibi Maruko, Arale, Dragon Ball and Minion designs! SO CUTE right? It not only looks good on the face, but also gives collagen and moisturising benefits to the skin. Spoilt with choices, I seriously don't know which is my favourite and end up buying all of them! Packed like a doughnut, it is actually an useful scrubbing brush for the stubborn dirt. And the Japanese loves it so much - Definitely every household's No.1 must-have item! Do you know that Japanese stationery is equally famous too? Time to stock up yours here! I have spotted some THERMOS flasks / coffee bottles on the rack too. The coffee bottle is something interesting that is currently not available in Malaysia yet -- It helps coffee drinkers to store warm coffee in the bottle without creating a caffeine stench in the bottle. How cool is that! on your back and neck as well as underneath your buttocks, feet, thighs, and more. Japanese Cult Toy, "Sonny Angels": More gift ideas in the house! People have been going crazy over Smiski, a tiny creature that lives in corners. Now it is available in various unique poses and more glow in the dark goodness from the tiny chaps. How adorable they are! that you gotta check them out yourselves at the pop-up store! 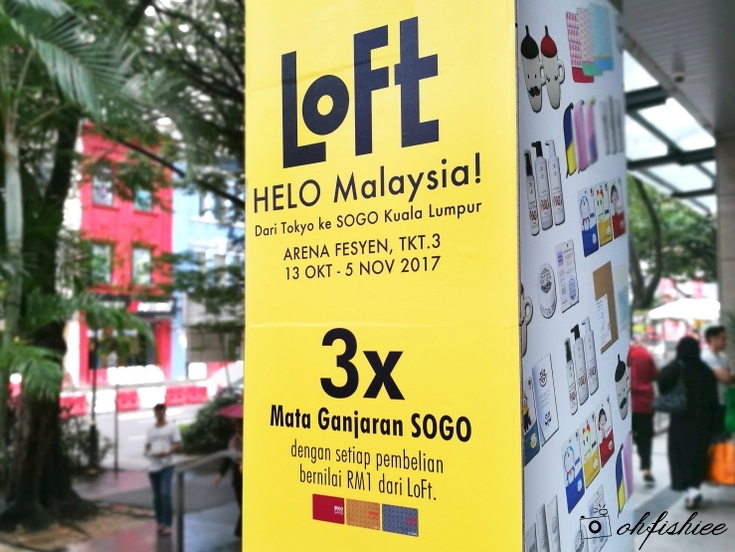 Did I forget to mention that for SOGO members, you'll get 3x points for every Ringgit spent at LOFT? Personal Experience: My Shopping Haul! Let's see what I have gotten here: Face Mask and Japanese natural shampoos from RinRen. The face masks are so irresistibly cute, so I have decided to try them all. Whereas the shampoo is something I have always been looking for -- Naturally made from raw Japanese materials, free from silicons and parabens. Hence it is more gentle and nourishing for the hair. First try on my Minion mask! Do I look like a Minion? 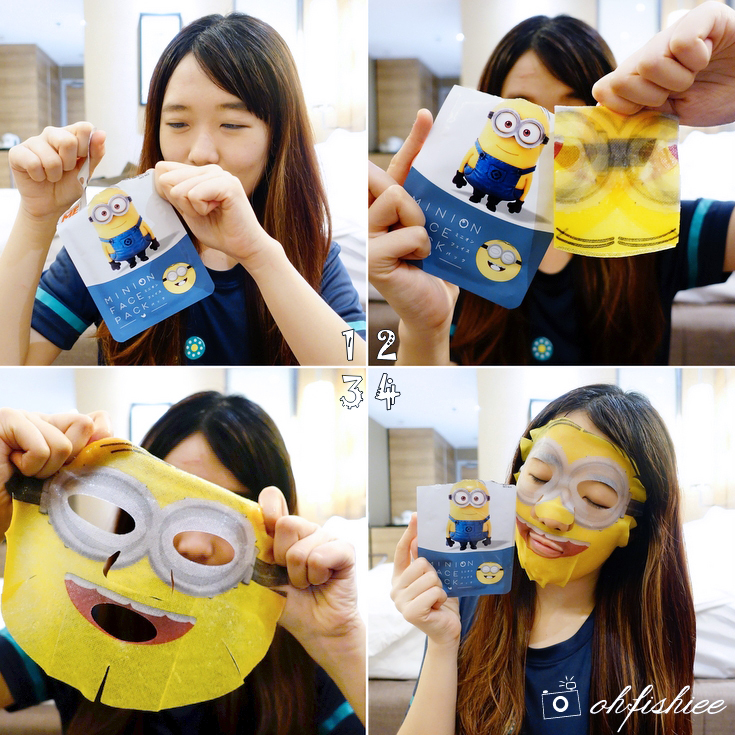 The minion face pack looks interesting on the package, but when I put it on, I guess I just don't look like any of the characters from Despicable Me? But anyway, I love the quirky design and guess what, it even comes in banana scent!! As I leave the mask on my face for 15 minutes, I can really smell the aromatic banana flavour. And the effect of the mask is not bad -- Moisturizing and nourishing for the skin. Good for all skin types. That's all about my shopping hall at LOFT. 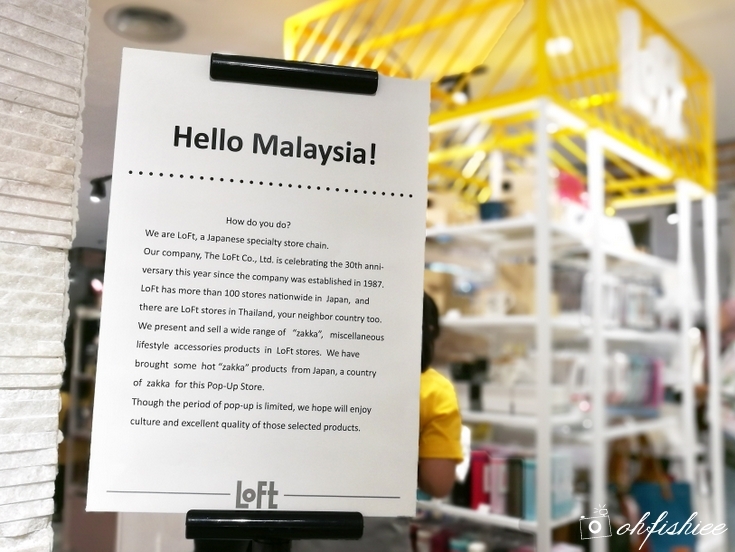 If you are a fan of Japanese products or a true believer of Japanese quality, then you gotta make a visit to LOFT and be impressed with the products here.